Nameholder conference badge available with a PIN fitting. 75x25mm. Available with a PIN fitting - no self assembly required. 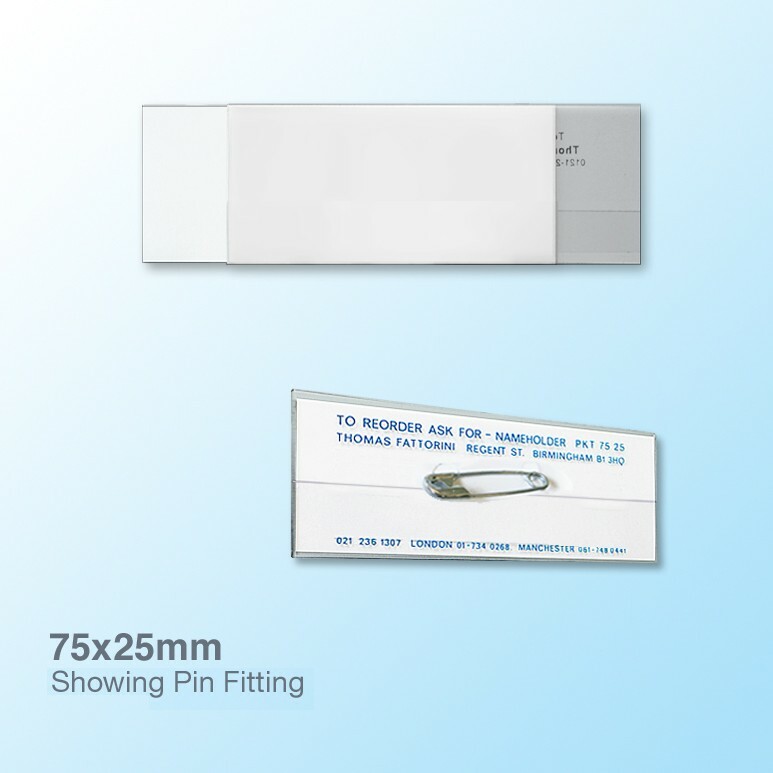 Supplied in a box of 100 together with the perforated Laser/Inkjet compatible paper for 120 badges. No special software required for printing - use standard office label software.